by Hilary Lambert, fashion stylist. Advice from the great Iris Apfel and how to wear it. I recently read an interview with Iris Apfel in Bazaar where she gives some lovely and wise advice about fashion, the art of style and getting older. If you don’t know who she is she is a well-known fashion icon from New York who made career in interior design, partaking in such high-profile design restoration project as that of the White House for 9 different presidents including the Kennedys. Dress your age. “Seventy year olds don’t have eighteen year old bodies and eighteen year olds don’t have seventy year old bucks.” I’m going on Forty and admittedly don’t always “dress my age”, usually when I wear a mini skirt or shorts. But, my feeling is that I’ll only be able to pull them off a few more years before I cash the minis in for good. So… I’m rocking them while I can. That being said, I try to keep it classy. I love good button downs and blazers to dress things up and make an outfit more sophisticated. 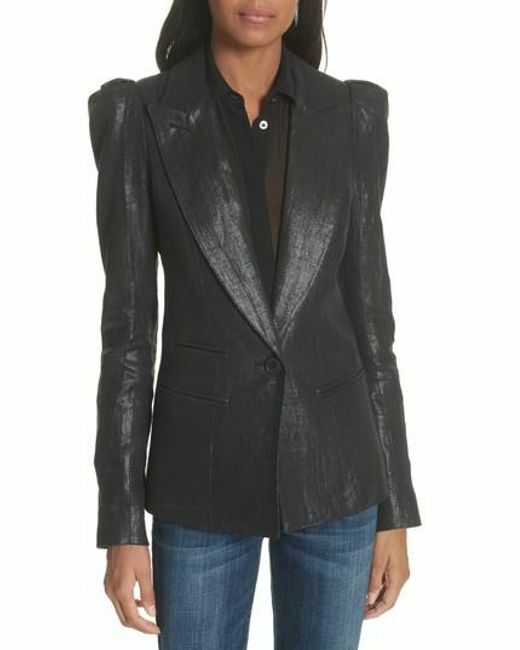 Smythe jackets, like the one below, are so well-tailored and worth every penny. I love the puffy sleeves and sleek look of this one. It a nice change from your average black blazer. Dress things up with costume jewelry. “I think jewelry is the most transformative of accessories.” I love Forever 21 for inexpensive accessories that are on trend. I’ve done a lot of shopping there to grab jewels for photo shoots. I want something that’s current but don’t want to spend a ton knowing the item won’t be relevant in a few seasons. Like these tassel earrings. I love the tassle trend but this won’t last, these are great option to rock it and not break the bank. Embrace getting older. She says “Wrinkles are a badge of courage.” and quotes Chanel: “Nothing makes a woman look older than trying so desperately to look young.” I couldn’t agree more! But she also advises to take care of yourself so you look your best at any age. 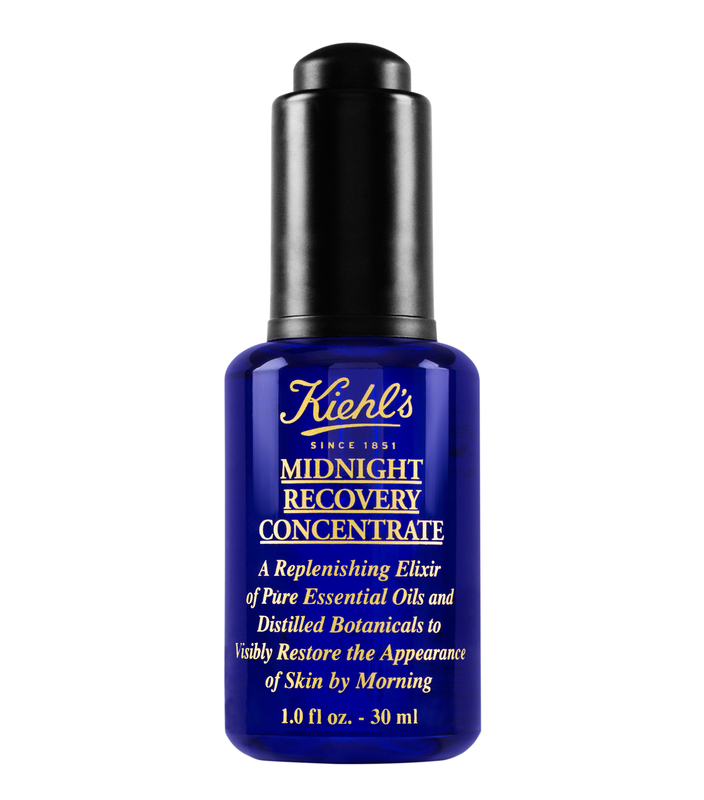 Here’s a great product from Keihls that I’ve been using recently to rejuvenate my skin at night. I tend to break out from heavy creams so a serum works well for me. Be Yourself. “Learn to be yourself, to develop a sense of curiosity, and to not live vicariously through these characters you follow on social media that have absolutely no personality.” This is my favorite. Being a person who uses social media as a platform to promote my fashion and lifestyle business, it’s interesting to see those that are so popular on different social networks and why. The first that comes to mind is the everlasting Kardashians who have almost a billion followers combined. I’m not a big fan of them but I try to understand what makes them so likable and infectious to the masses. When I see their show I have to say that I kind of get it. You see their personalities come through in a very genuine way and that gets people interested. The point is, they are popular for being themselves so you need to develop your own personality, sense of style and beauty that is true to who you are. If you are copying someone else, and we see so many who try to look exactly like Kim or Kylie etc… it’s so obvious, disingenuous and why do we need a replica of Kim K. in this world!? What makes you different is your strength, so use it!! One of the perks of my job is that we have public appearances by some of the top designers in the industry. Last week the designers for Proenza Schouler, Jack McCollough and Lazaro Hernandez came to the store for an event. They spoke about their Spring and Fall 2018 collections, the launch of their new fragrance, Arizona, and a little about their background as designers. Their spring collection is very feminine with the use floral prints, silk and lace materials and flowing silhouettes. The Fall 2018 collection is quite a departure, drawing inspiration from “women’s lib” and the artist Sheila Hicks whose use of fibers and hardware is seen as very Americana and a reflection of the hardworking women of past generations. Metals, fringe, and tie dye fabrics are used to emulate the modern women of defiance and strength. Here are a few of my favorite pieces from the Fall collections. To shop the brand click here or on the images below. Posted in Designer Profile, Fall Style, Uncategorized and tagged artist, Beauty, color trends, Designer Fashion, Events in Boston, fabric trends, Fall 2018 Fashion, fall 2018 runway looks, fall trends, farfetch, Fashion Blog, fashion blogger, fashion stylist, fashion trends, FAshionista, how to be fashionable, Proenza Schouler, Proenza Schouler Fall 2018 Collection, sheila hicks, shopping, Spring Fashion, spring trends, what to wear on April 30, 2018 by welldressedboston. Dusters are in, and I’m not talking about the feather kind. This one from Shein.com is so elegant and cool! I love how they styled it with a head scarf and big sunnies. So chic. 2) Kimono’s are a great way to sport this look. This one is from Nordstrom and a perfect transition piece for spring. 3) Fit 3 trends into one with this gorgeous mustard yellow, velvet duster from Nasty Gal. There’s so many sales happening tomorrow. Here are some fashionable Black Friday deals I love. What deals can you recommend?? H&M. They’ve got all sorts of great deals on sweaters, jackets … but this purple dress is my personal favorite. Originally $59.99 on sale for $34.99. Nordstrom. The ever popular Stuart Weitzman “highland” boots are on sale. Originally $798.00 now $376.80. You can’t pass that up! Bloomingdales. I’m a sucker for anything blush and pearl embellishments. This sweater is perfect with some leggings or mini skirt and those highland boots! Bloomies deal is buy more pay less. 25% off $400 or more, 20% off $300-399 and 15% off $150 -$299. Making “Fast Fashion” Work for you. Keeping up with the trends isn’t easy. These days it’s simple for retailers to put out different designs based on what’s just been on the catwalk and to “knock off” designer duds within a week or month. Staying fresh is not an easy task. I work at a luxury retailer so I have a deep appreciation for designer made clothes, shoes and accessories. However it’s not lost on me that these things are out of reach of the average person, myself included. Retailers like H&M, Forever 21, Zara and the like have made being on trend, current and fashionable a possibility for the average person. With that in mind it’s not always easy to pick through the massive amounts of inventory they have to find the items that work for you. H&M Viscose Floral Dress. This reminds me of the dresses and boots that Victoria Beckham has been seen in recently and is a look that many can pull off. It’s not tight, shear or short! It’s a pretty, comfortable and confident look. 2) Paper Waist Culottes from Forever 21. The way it’s styles is cute and a great going out look, or if you’re a stylist like me you could wear it to work. But if you need a more “buttoned up” look I would pair these with some boots like the look above. A maroon or red color. A button down or cami with a sweater or jacket make it perfect for work. 3) Zara embellished sock booties. Did you know that Zara has one of the best shoe shops?! And these sock booties are a great addition to anyone’s wardrobe looking to be on trend and fashionable this fall. Layering. I adore layers and being able to drape myself in all sorts of sweaters, jackets, tops, scarves etc. Maybe it’s because I feel as though I can really maximize my wardrobe by wearing so many different pieces, but it’s such a fun way to express yourself and keep cozy at the same time. Below are some of my favorite layering pieces. What’s yours? Duster Jacket from the Guess Factory Store. I’m going to have to make this a 2 part article as I have thought of so many other layering ideas as I’ve been writing this! Stay tuned. Do you have any questions about how to layer? What’s your favorite layering piece? As much as I love seeing the latest from the runways of fashion week what I really enjoy are the styles worn on the streets. There’s a heightened state of fashion awareness during fashion month and a bevy of fashionistas hitting the streets of New York, London, Paris and Milan to show off their tasteful and artistic interpretations of style. Many flock to the shows, or not even to the shows just to the general vicinity of where they take place, to try to get noticed. Here are some of my favorite looks from the streets of this year’s London Fashion Week. I love street styles that are classic and sophisticated, but have something that make them different. I like when a person shows that they are willing to take risks. Even if I wouldn’t necessarily wear the style myself or recommend it to a client, it’s more of an admiration of someone’s willingness to think and do something outside of the box.